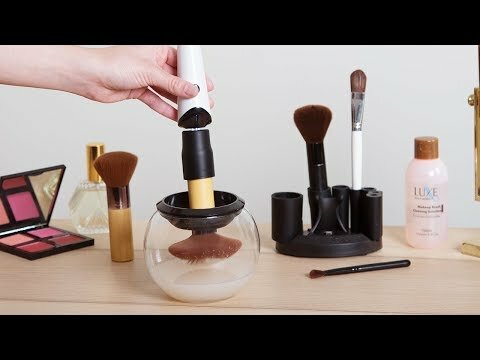 This makeup brush cleaner spins your brush clean, then it spins it dry. It’s got three levels of agitation and uses just water and soap to get your brushes cleaner with little effort. Seriously, no excuse not to clean your brushes! This takes a bit of time to figure out, but it works great. Brushes are clean and dry. Bought for my granddaughters as gifts. They love their grommets. Easy and fun to use. my grandaughter loves her gift. easy to use and does a great job cleaning her brushes! Bought this for my daughter for Christmas and she loves it!! Well made and worth every penny! It’s a hygienic solution and quite the spectacle to witness, too.